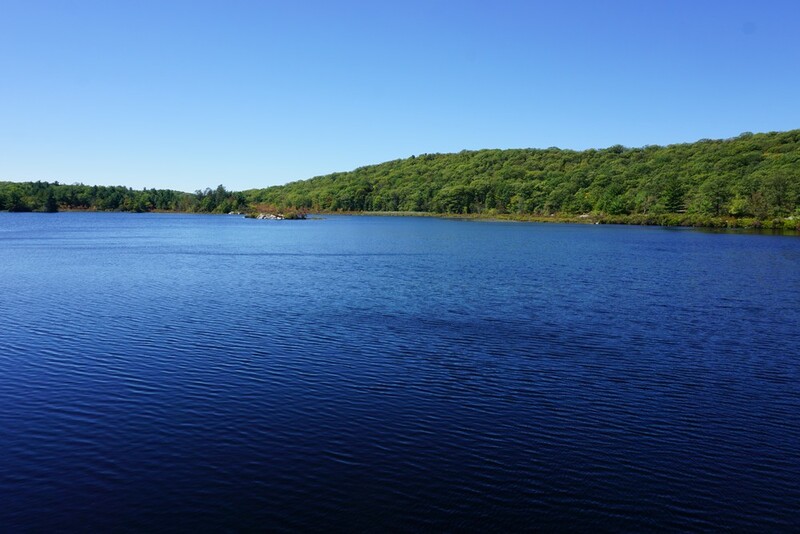 This was another beautiful September day with a bright blue sky. 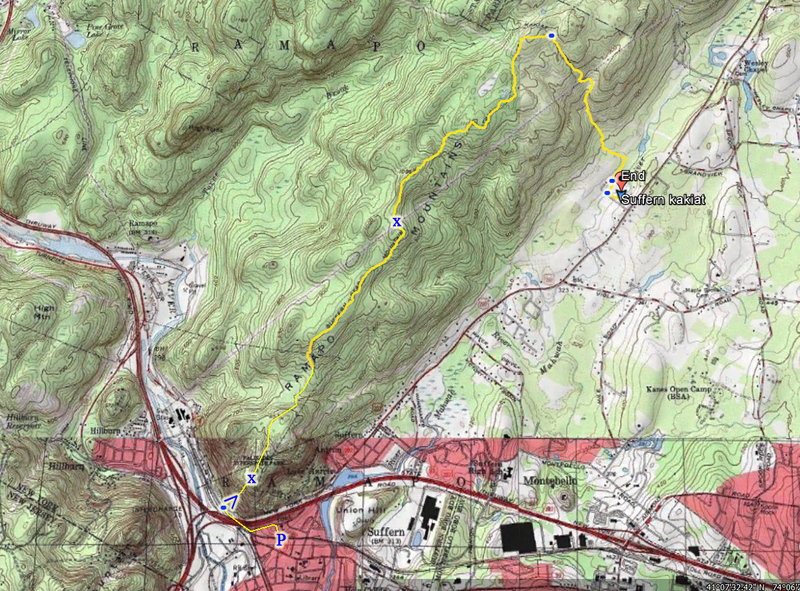 I had a very busy schedule, so had to keep the hike relatively short. This hike features a very scenic lake and short hike to a view, but the problem is that it is insanely busy on weekends, with well over 100 cars in the large parking area. 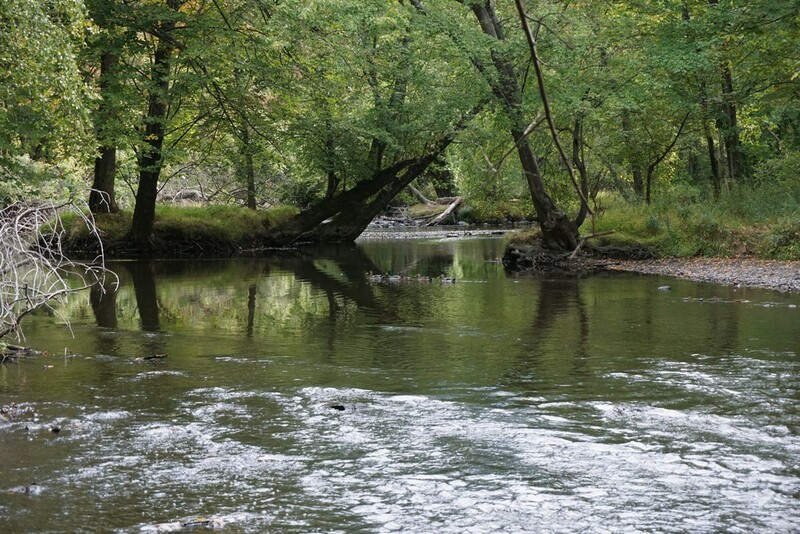 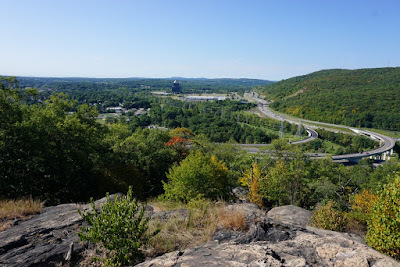 I parked in the main parking area, and took the path to the Silver Trail, across the Ramapo River bridge. I then took the wide Scarlet Oak Pond Path around the lake in the full loop to the Halifax Trail. I took the Halifax Trail up the somewhat steep ascent to the view at Hawk Rock. 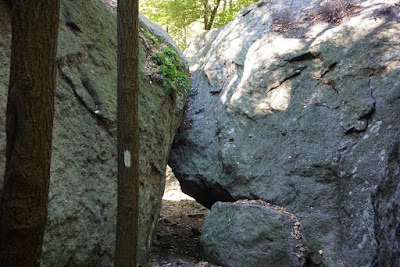 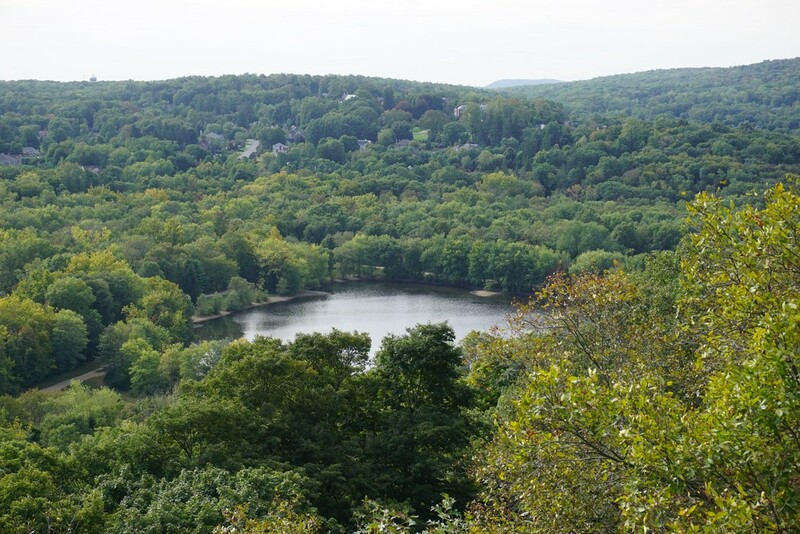 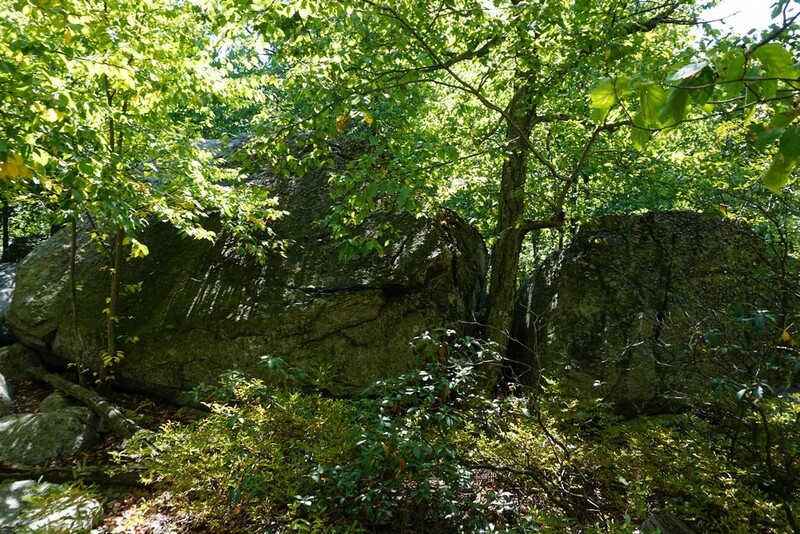 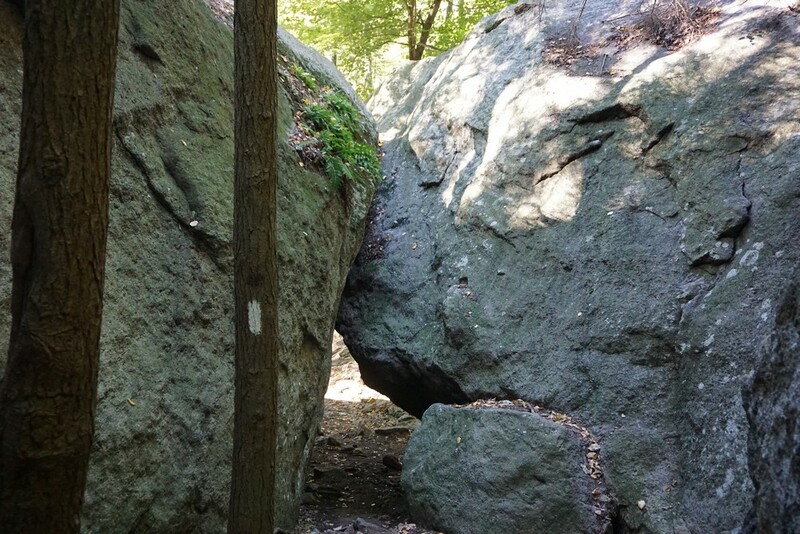 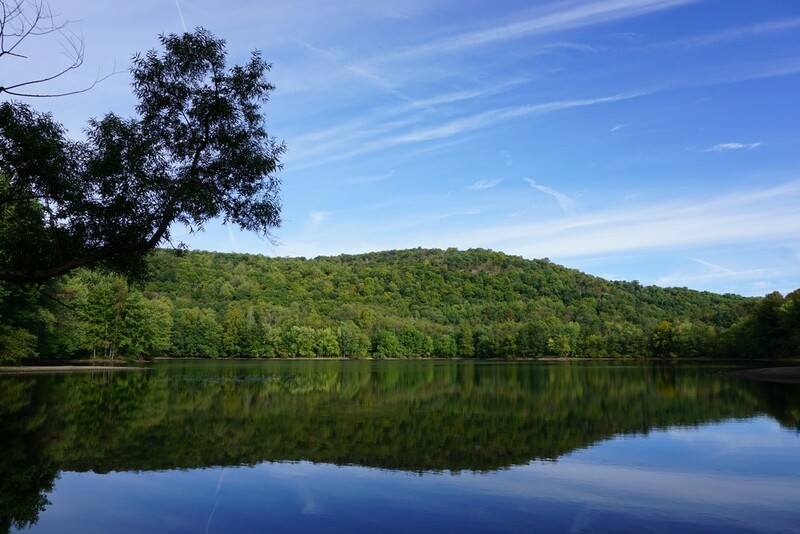 Hawk Rock is a large exposed rock with a straight cliff going down, overlooking Scarlet Oak Pond to the south and Ramapo College to the west. 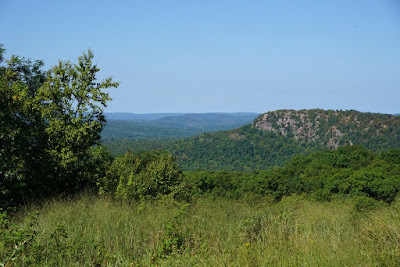 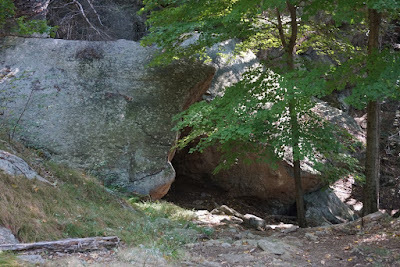 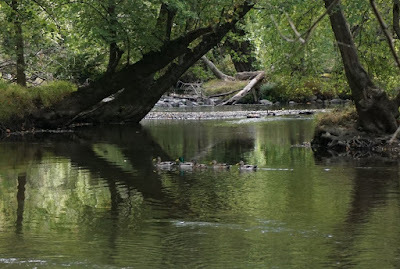 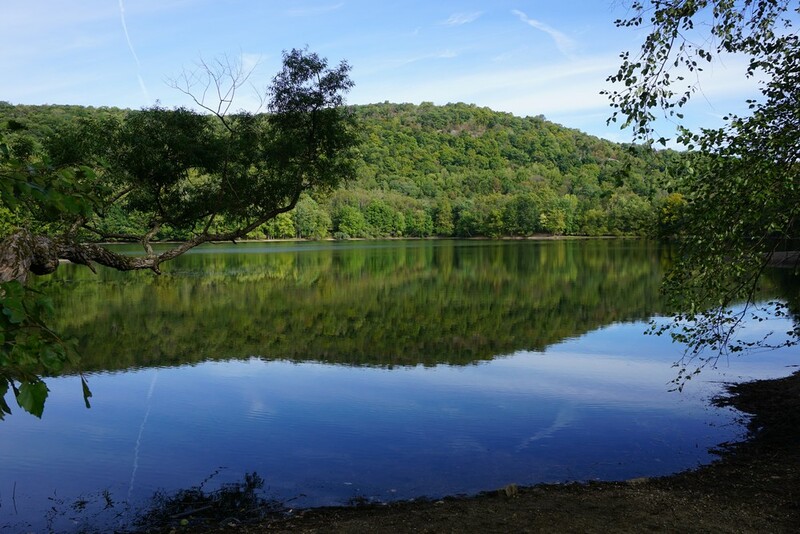 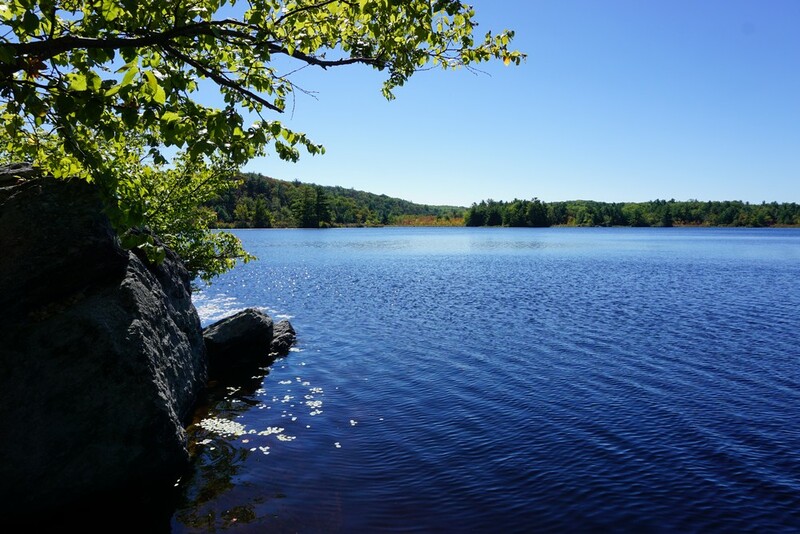 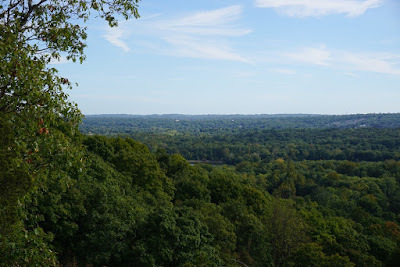 I turned around after Hawk Rock and went back down the same trail to the Scarlet Oak Pond Road, and then went a loop around the other way of the lake via the Silver Trail. 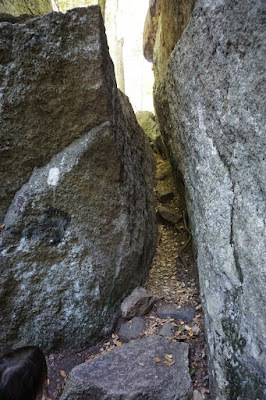 I then took this route back to my car. 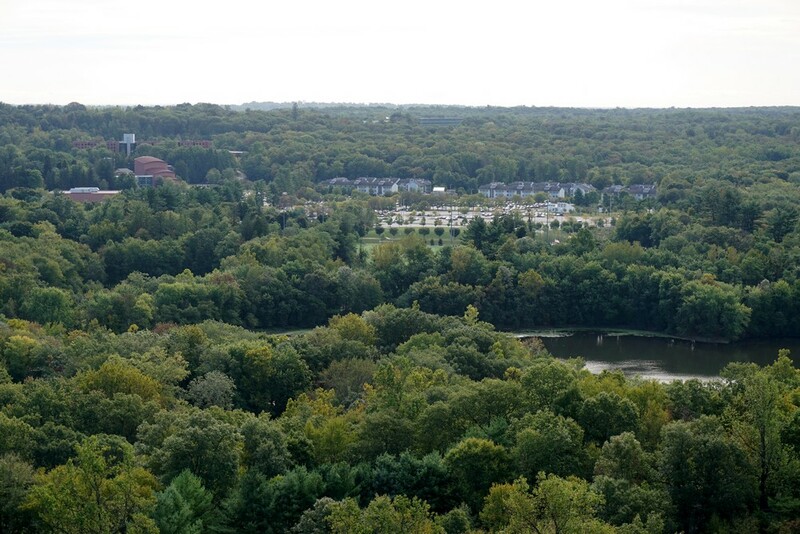 Scarlet Oak Pond from Hawk Rock. 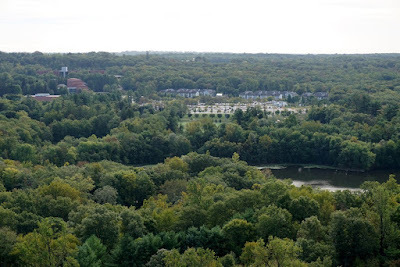 Facing South. 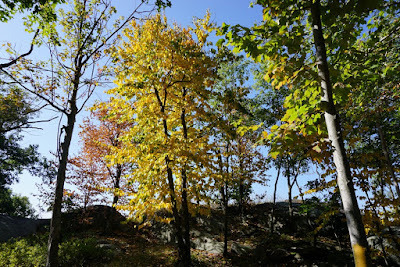 This was a beautiful early autumn day. 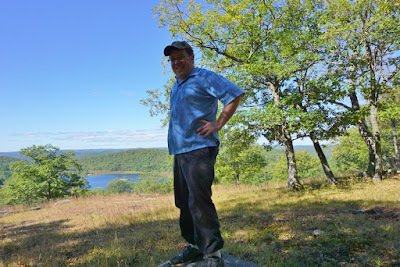 The weather was very comfortable and the sky bright blue. 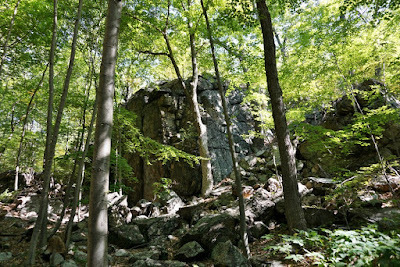 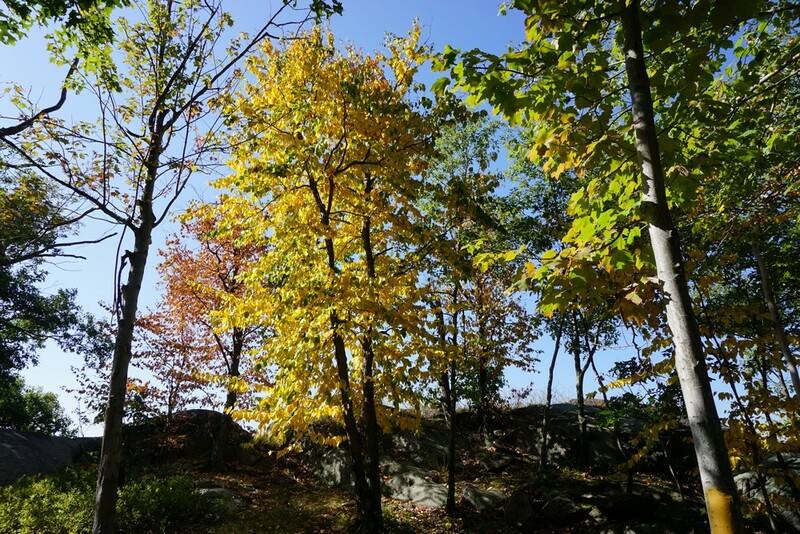 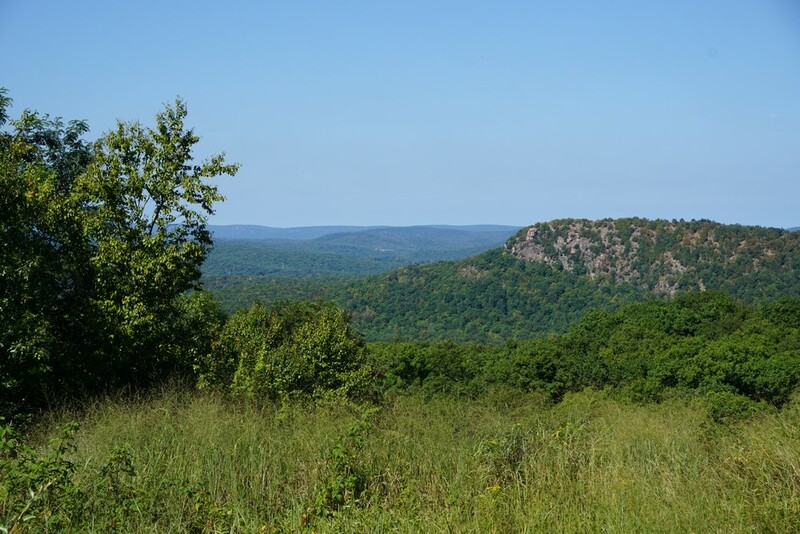 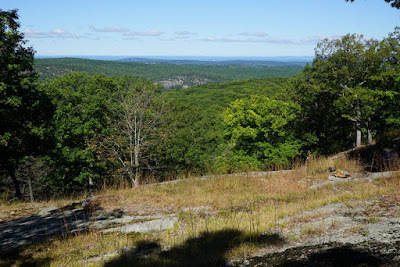 I love this area of Harriman State Park for its scenic beauty and relative quietness. 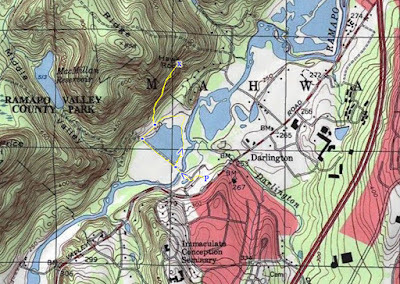 We parked in a tight spot off the side of Arden Valley Road, and took Crooked Road, an unmarked woods road north of Island Pond, to its intersection at the Appalachian Trail. 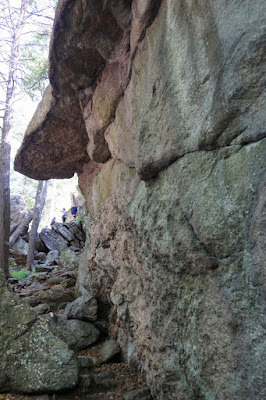 We continued on the Appalachian Trail to the Lemon Squeezer, a rock formation where you can walk underneath and through a very cool scramble. 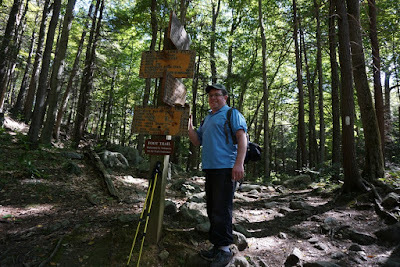 The Lemon Squeezer starts the climb from the Appalachian Trail up to Island Pond Pond Mountain. 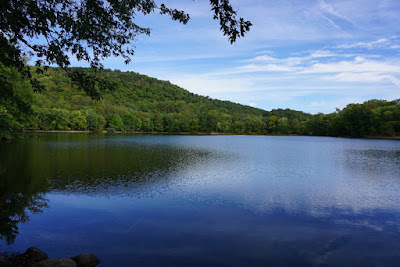 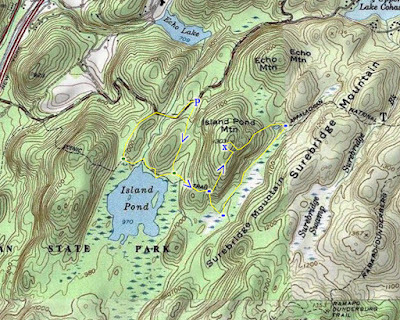 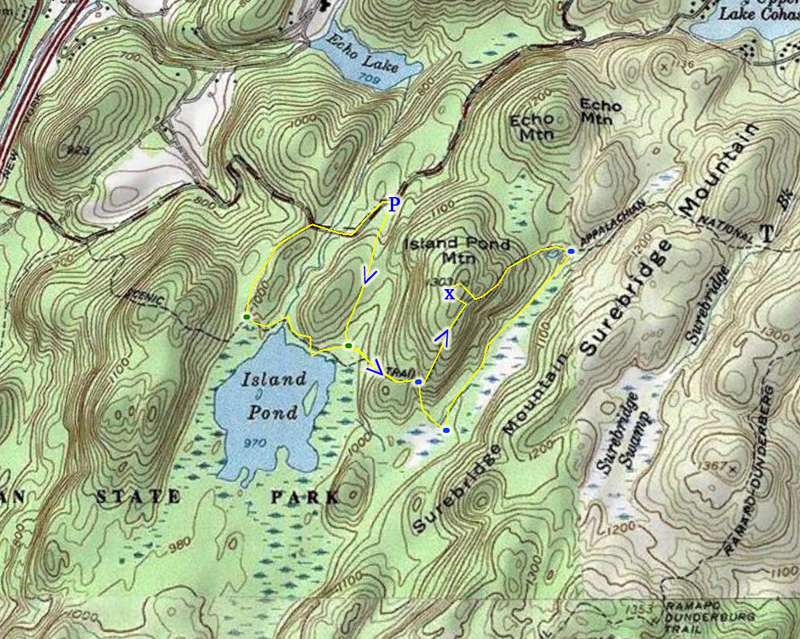 The Appalachian Trail up the mountain doesn't provide a view, but if you take a short bushwack about 100 feet to the left, there is a beautiful view of Island Pond and the mountains beyond. We detoured slightly to this view, and then went back to the Appalachian Trail and then descended the mountain. 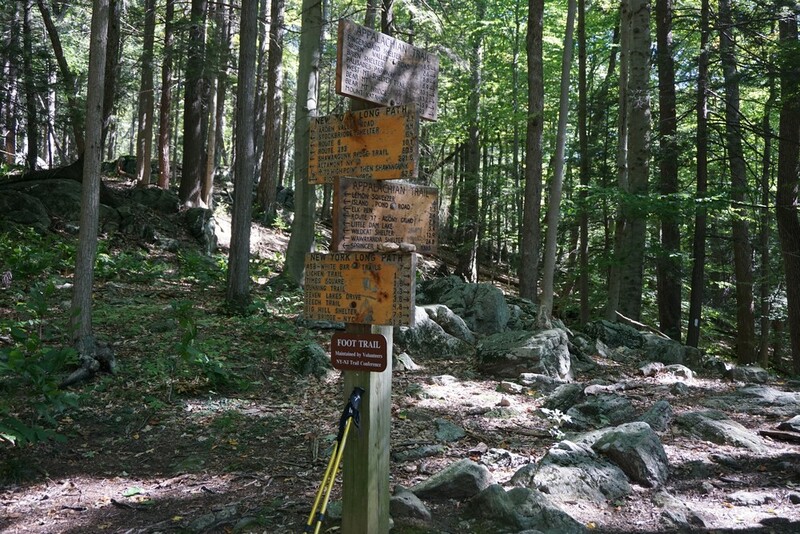 At the bottom the trail intersects with the Long Path, with a very unique marker showing distances on each of the paths to distant locations. 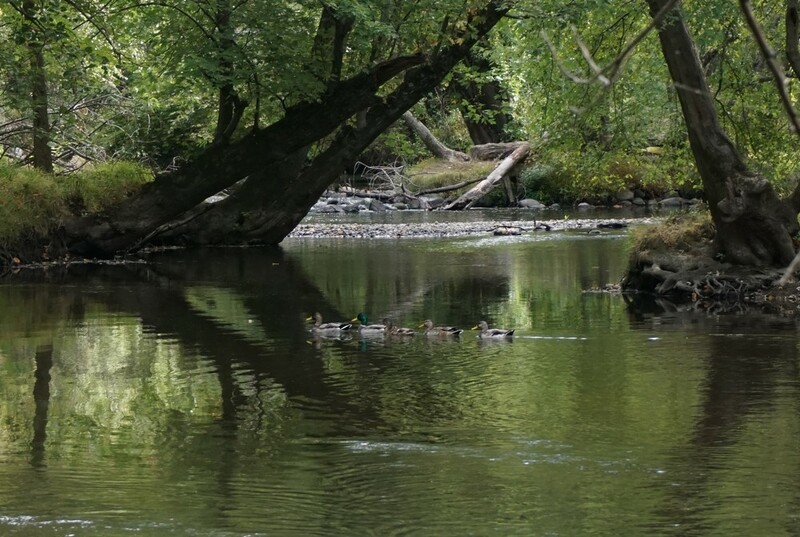 We then took the Long Path south along the side of the swamp to the A-SB Trail, back the Appalachian Trail. 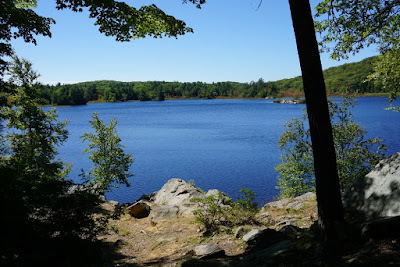 From there we cut across to the north shore of Island Pond to take some pictures, and then headed back up to the Appalachian Trail to the Island Pond Road (this road is open to fisherman who purchased a seasonal gate key to this parking area. 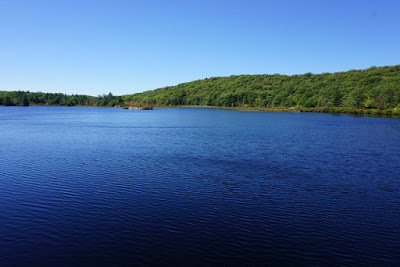 We walked down Island Pond Road to Arden Valley Road, and walked along the side of the road back to our car. 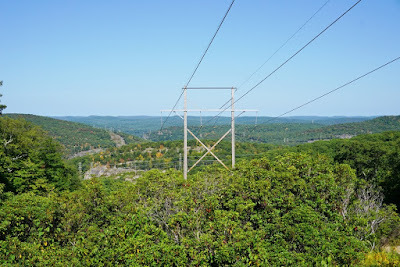 Cons: Lots of man-made obstructions such as built-up views, power lines, gas lines, etc. 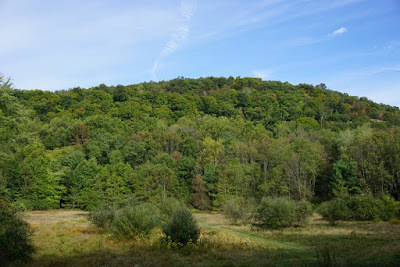 The weather had been very hot, and this late summer day in September was probably in the 90's. 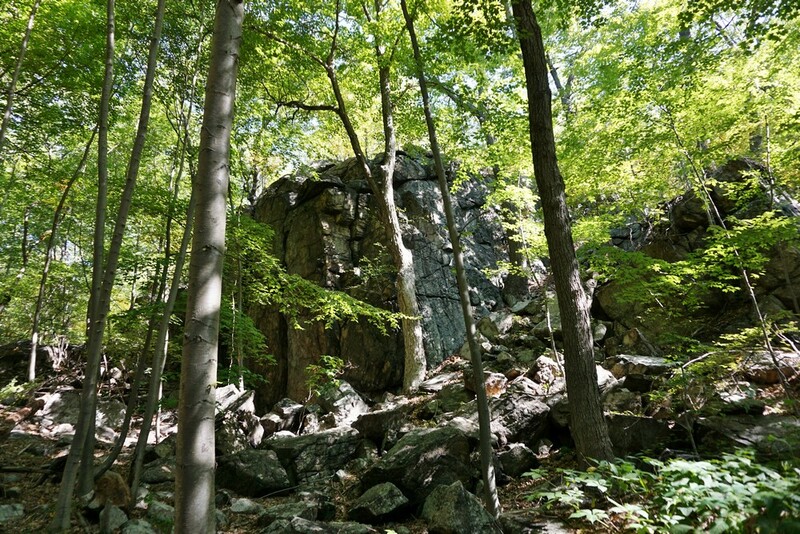 It had been many years since I hiked along this lonely stretch of trail from Suffern to Kakiat along the Suffern-Bear Mountain Trail. 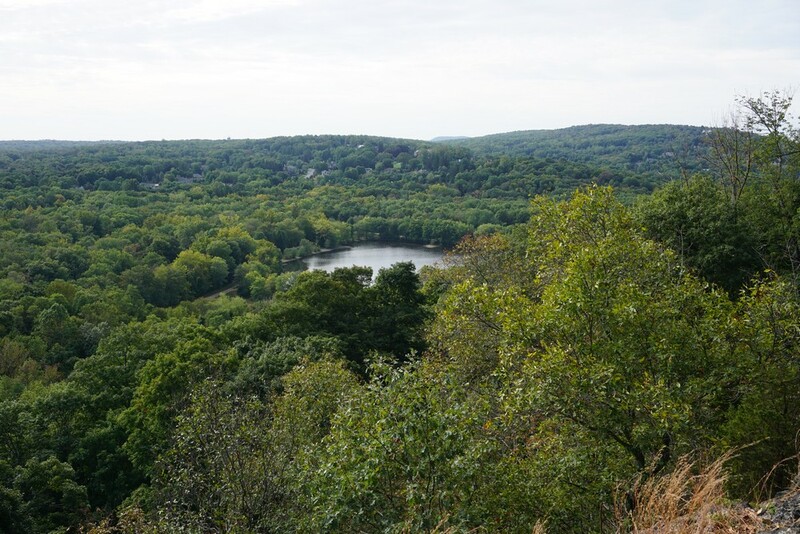 We took two cars on this hike. We parked the first one on Chestnut Street in Suffern, about a block from downtown, and we parked the second car in Kakiat. 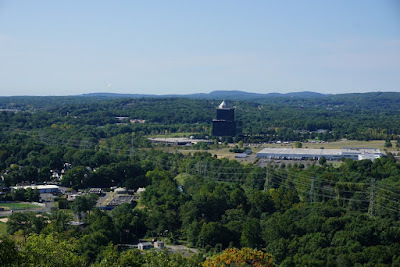 We walked through Suffern and crossed under the wide Thruway overpass on Route 59. 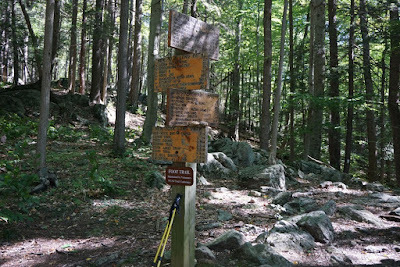 The Suffern-Bear Mountain Trailhead is here. 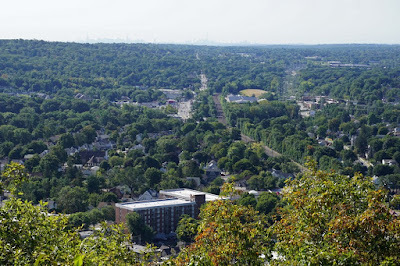 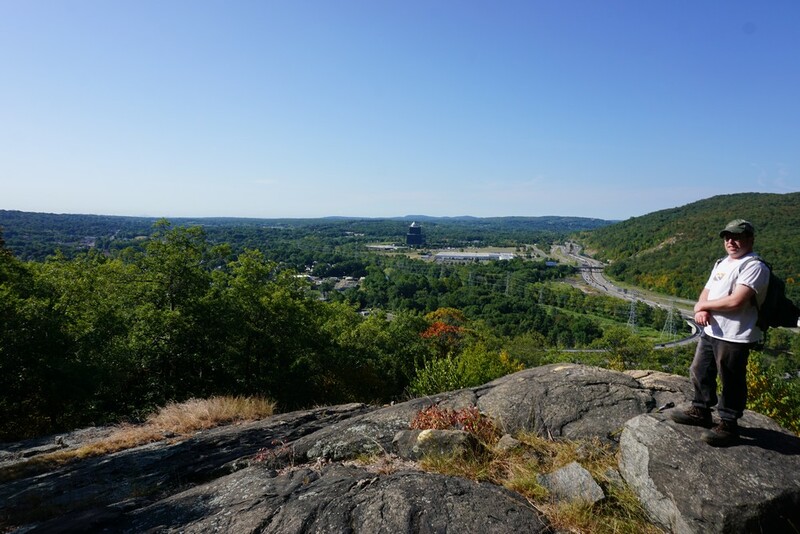 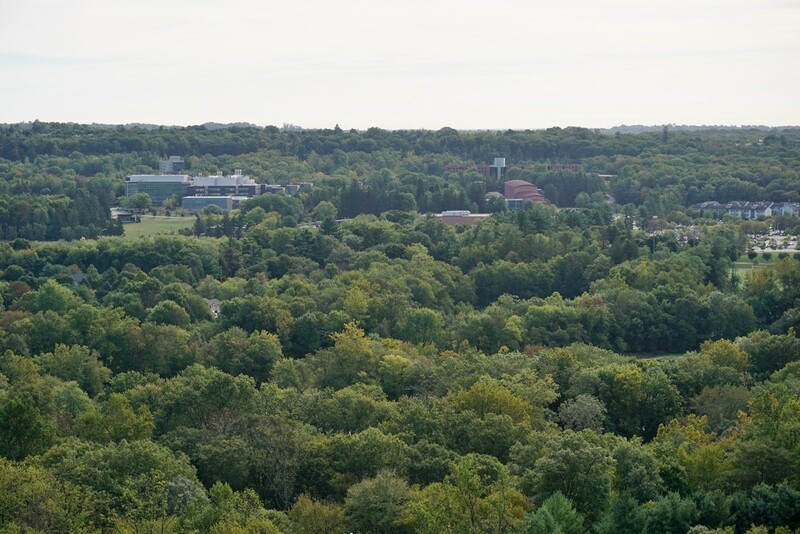 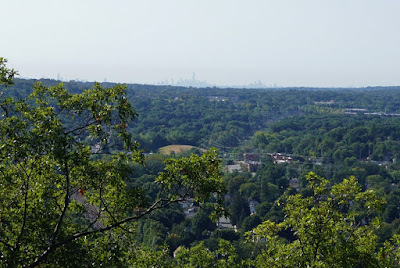 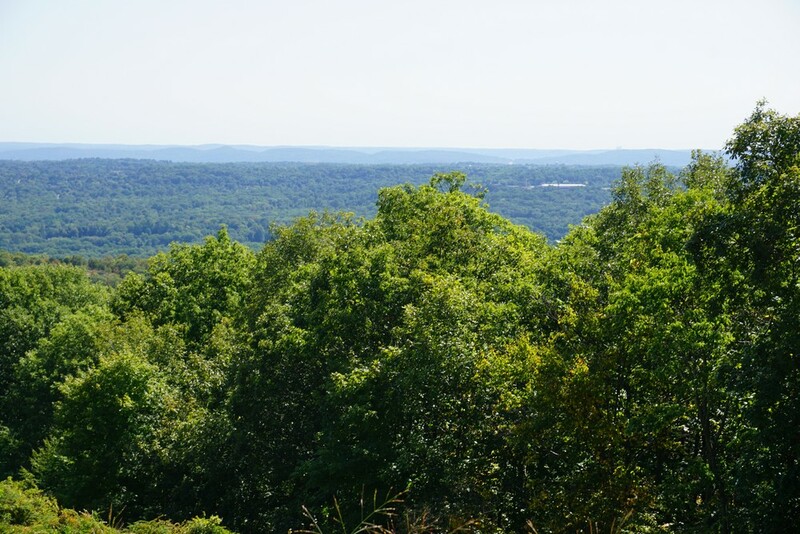 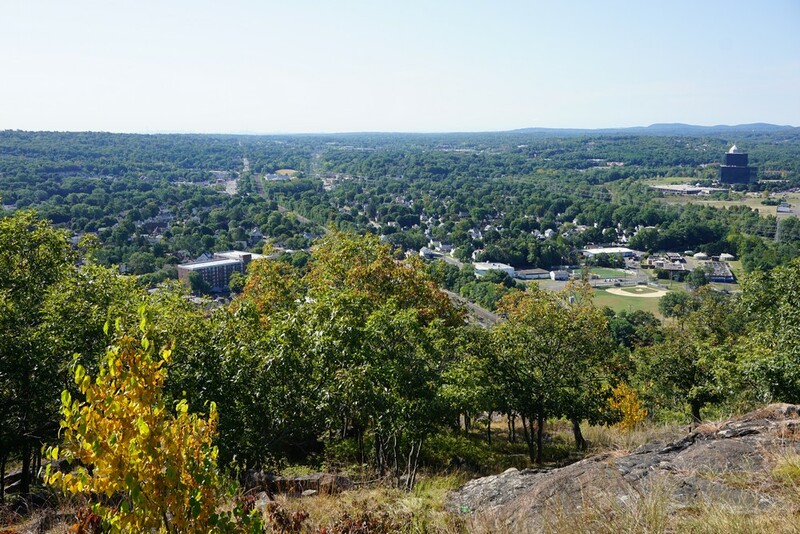 We climbed up the steep climb where there is a great view on top of Suffern and the Manhattan skyline. 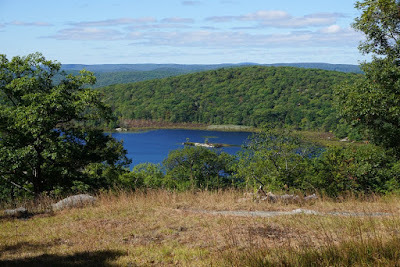 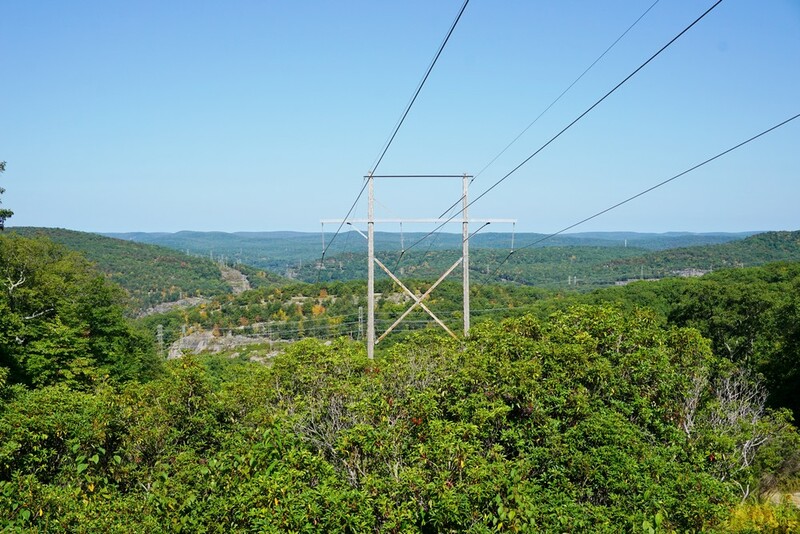 We continued along the Suffern-Bear Mountain Trail along its long and windy route past the power and gas lines which also afforded some views. At the intersection with the Kakiat Trail we headed down all the way to the bottom part of Kakiat Park and took the Old Mill Trail for a very short distance at the end. 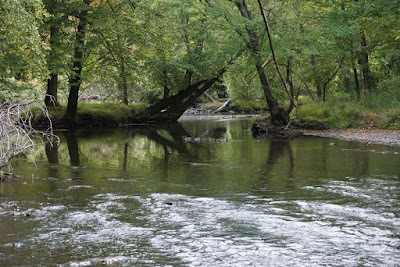 We then crossed the Mahwah River on the new bridge and found our car in the parking lot. 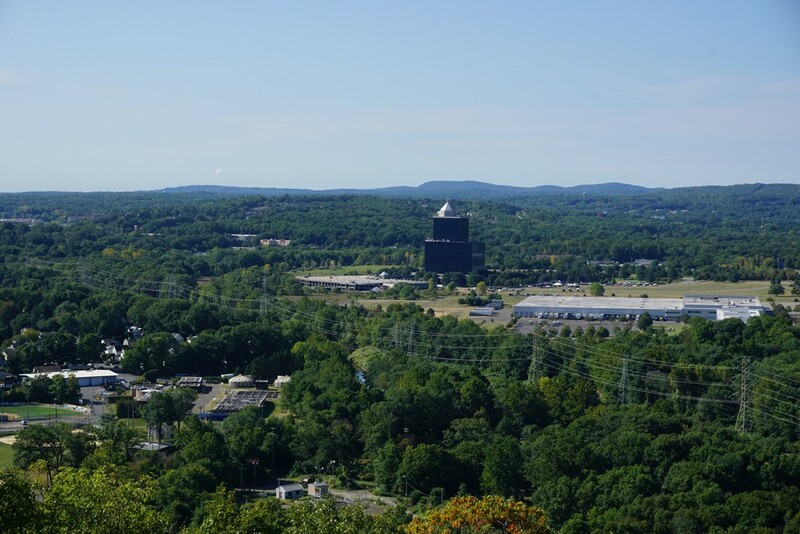 Zoom into Suffern and Mahwah. Note the Manhattan Skyline in the Distance. 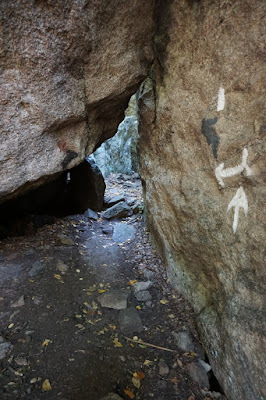 I wasn't sure Exactly Which Rocks were the Large Rocks Labelled as Such. 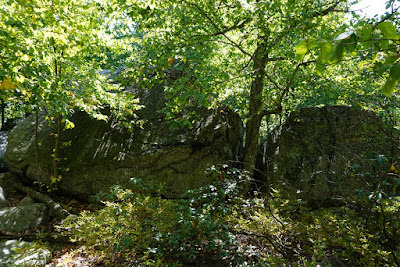 There are Several Rocks in this Rocky Area than may Qualify for this Designation. 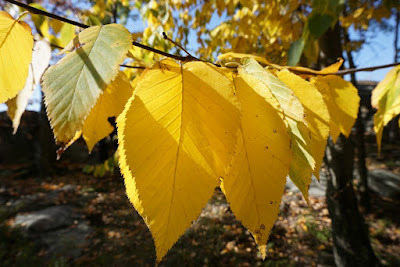 I think These Fit the Best Description.